I received the painting in 5 days (business working days). The painting does not look exactly the same as the picture shown but I am still satisfied. The color combination is amazing when you look closely enough at the real one and I like how it turned out. I received the painting in 5 days (business working days). The painting does not look exactly the same as the picture shown but I am still satisfied. The color combination is amazing when you look closely enough at the real one and I like how it turned out. Hello, thank you for shopping with us! You have a good taste, this painting is so artistic, I really like it too. We have so many paintings in this style, maybe you can find more that you love! Welcome to shop with us again! Hope to serve you better next time! Have a good day! Hello, thank you for shopping with us! You have a good taste, this painting is so artistic, I really like it too. We have so many paintings in this style, maybe you can find more that you love! Welcome to shop with us again! Hope to serve you better next time! Have a good day! παρα πολυ ωραιος ειναι οπως στην φωτογραφια!!! παρα πολυ ωραιος ειναι οπως στην φωτογραφια!!! Perfect, lots of depth, very nice. Perfect, lots of depth, very nice. Can I ask is there gold in the painting, I cannot find any way to contact the light box people to ask a simple question. I thought as you have purchased it you might be able to help me! Lisa	Can I ask is there gold in the painting, I cannot find any way to contact the light box people to ask a simple question. I thought as you have purchased it you might be able to help me! Very happy with this painting. Product looks exactly like the advertised painting. Very happy with this painting. Product looks exactly like the advertised painting. The colours are a bit more vivid than as shown, but it is still beautiful! The colours are a bit more vivid than as shown, but it is still beautiful! très belle peinture. Nous sommes très satisfaits. Nous recommandons cet achat. Prévoir le paiement dune taxe de douane. cordialement	très belle peinture. Nous sommes très satisfaits. Nous recommandons cet achat. Prévoir le paiement dune taxe de douane. Lovely painting. The paint is thick and has more relief than the photo shows. We like therefor the painting even beter than expected. Lovely painting. The paint is thick and has more relief than the photo shows. We like therefor the painting even beter than expected. 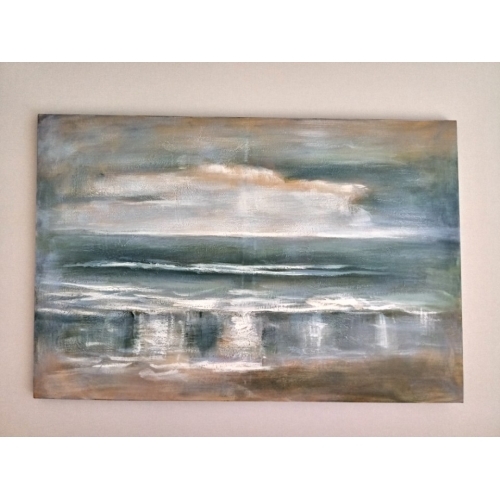 love this one, looks beautiful in my bedroom, the colors are as shown on website. 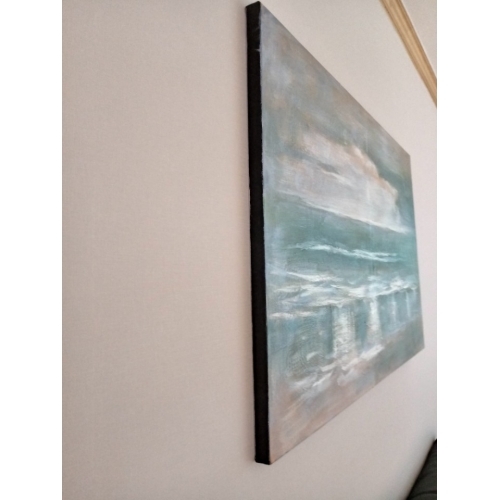 love this one, looks beautiful in my bedroom, the colors are as shown on website.